Wine Rariga - "Our tradition, your enjoyment." Rariga wine is a nice family winery from under the Small Carpathians producing excellent attributive Slovak wines. Wines brand Rariga we meet since 2003. The family winery based in Modra manages to 2 hectares of its own vineyards. By combining traditional practices with modern technology it produces delicious wines from a number of white and red varieties. The main variety for which the winery Rariga swear, is Riesling . And so when tasting their wines, do not miss just richly valued Riesling. 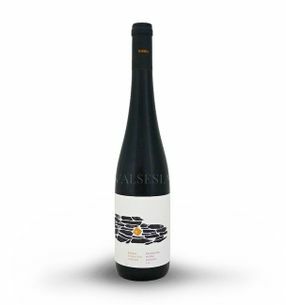 The winery is governed by the principle of produce in smaller quantities, but more quality . The correctness of this theory shows the number of medals in many important exhibitions as Vinoforum, Wine market Pezinok or Vitis Aurea Modra. Annual production Vineyards Rariga reaches 30,000 bottles and is also intended for the most demanding lovers of good wine. The winery is progressing well thanks to the son of Mr. Rariga who bring into the family business bold innovative ideas. These are just more than 25 years of experience and youthful enthusiasm father of the children, which predetermine the quality wines with special attributes brand Rariga and became also a source philosophy of a successful family-owned winery that bears the motto - "Our tradition, your enjoyment." 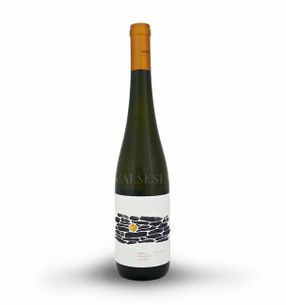 RARIGA Riesling 2017, D.S.C., quality wine, dry, 0.75 l Riesling wonderful fruity-floral fragrance. It has a fresh flavor and pleasant acidity that highlight its luscious peach-tone lime with a hint of lime. The wine is harmonious, beautiful full tone with a fine biscuit. RARIGA Sauvignon 2017, D.S.C., Quality wine, dry, 0,75 l Sauvignon unusual, pleasant, fresh fragrance acting peach, green gooseberry and lime-light citrus tones. The taste will pleasantly surprise a pleasant mineral texture and a fresh acidity.